Gibbs Smith Publishers, 9781423602248, 222pp. For hundreds of years, Savannah has charmed residents and visitors alike with its fine old architecture, wide, cobbled streets and romantic moss-draped trees. Though less widely known than its haunting beauty and fabled eccentricities, part of the enchantment of Savannah is its cuisine. 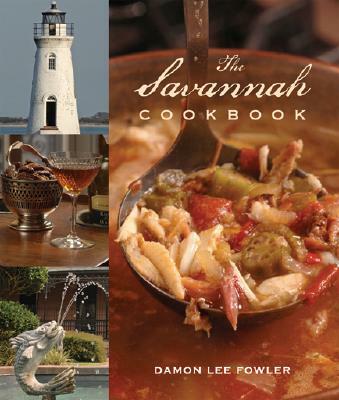 Blending European, Asian, and West African customs Damon Lee Fowler introduces The Savannah Cookbook, offering recipes for Southern classics such as rice and grits, soups and stews, poultry, fish and meat dishes, as well as a helpful chapter on pantry basics. Author Bio: Damon Lee Fowler is a nationally recognized authority on Southern cooking and its history. He is the author of five critically acclaimed cookbooks: Classical Southern Cooking; Beans, Greens, and Sweet Georgia Peaches; Fried Chicken; Damon Lee Fowler's New Southern Kitchen; and most recently Damon Lee Fowler's New Southern Baking. His books have been nominated for two Julia Child cookbook awards as well as a James Beard Foundation award. Fowler is the feature food writer for the Savannah Morning News as well as a founding board member and past president of the Southern Foodways Alliance.